Cats will love our radiator beds which work just as well on the floor. The standard 2 in 1 uses a faux sheepskin cover whilst the Luxury Tunnel has a deep and luxurious faux fur. Both are easy to assemble with removable and machine washable covers. Below are some recent questions we've received regarding Rosewood Luxury Cat Tunnel, including answers from our team. 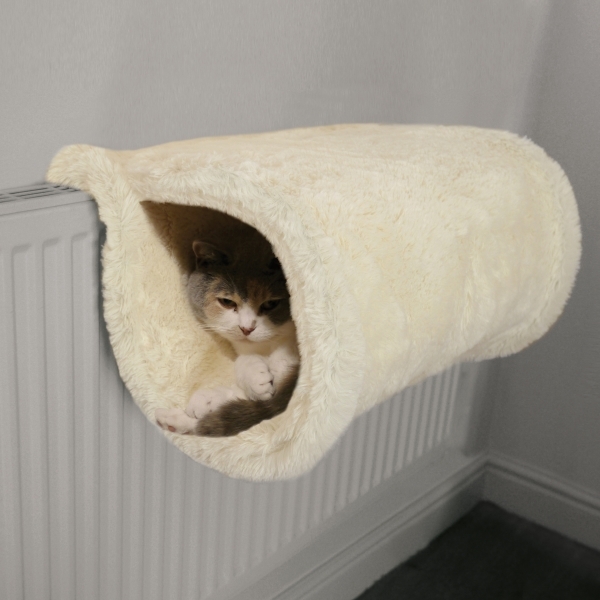 Please could I have the measurements if the Radiator Cat tunnel bed? Many thanks..Coral. The measurements of this product are 35cm x 9cm x 48cm.